Universal GM Corvette style cast iron master cylinder with a 1" bore size. Suitable for Disc/Drum applications. 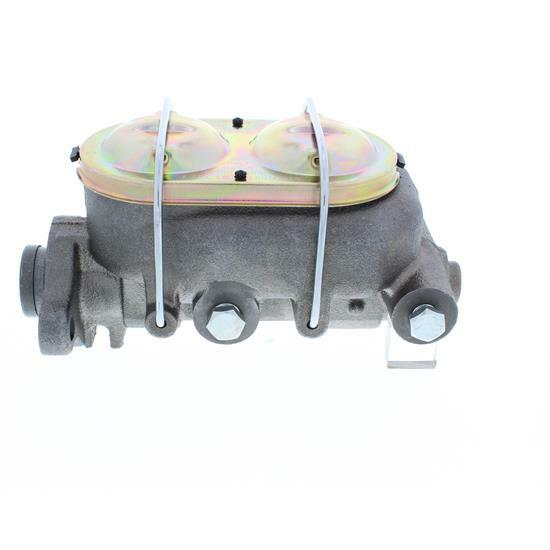 Includes a piston adapter that will allow for power or manual brake systems. Has 9/16" and 1/2" ports on both sides of the master cylinder.